Kliff Technologies are one of the top Vuejs development companies. Our years of experience and this specialization have enabled us to prepare the best UI solutions in the fastest possible time. 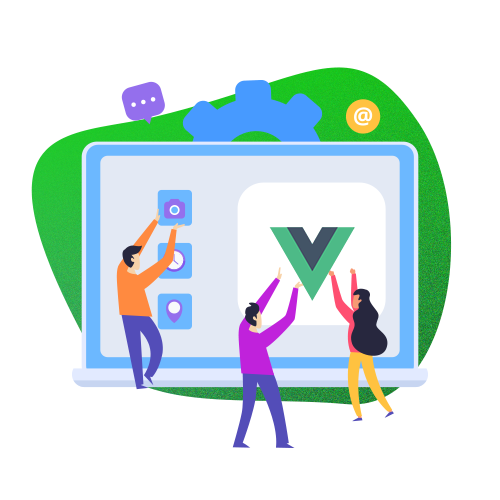 Our team of Vuejs developers has a thorough knowledge of best practices in this framework and helps you deliver the best results. Wrestling with no polyfilting, no transpling, no bundler. Design of Vue Codes promotes simplicity and even a basic understanding of JS or HTML can give you an idea of how it works. Since it utilizes fewer conditions, the load time, just as the development overhead, decreases essentially. Less overhead outcomes in less advancement costs. Vue js lets you create single page applications and contribute components in existing applications. It is possible due to its great adaptability and smooth integration capabilities. Vue js focus and simplicity features enable developers to accomplish their processes efficiently and help them eliminate tasks with greater speed and confidence. Why Hire Angular JS Developer From Kliff Technologies?